After flying all over the world on Christmas Eve, my sleigh is very dirty. So today, I took it to the North Pole Sleigh Wash. After all, Santa’s sleigh has to sparkle! The elves worked hard to get it nice and clean. Well, there were lots of cookie crumbs on the floor and seats. Eating cookies while driving the sleigh can be very messy! As I travel, my sleigh picks up all kinds of treasures. Some of them fall inside; some of them get stuck to the outside. We flew through a field of tulips in Holland and one fell into the sleigh. Rice from China spilled onto the floor. A shamrock is a three-leaf clover that comes from Ireland. Some shamrocks stuck to the bottom of the sleigh. It must have been when we stopped in a field for the reindeer to have a snack. Candy canes can be very sticky and some were stuck on the runners of the sleigh! The elves had to scrub and scrub to get them off. The elves did a great job getting my sleigh clean and shiny again. Just like a red nose! Now it is all ready for next year! P.S. What other things do you think the elves have to do once Christmas is over? What other things do you think end up in my sleigh during my Christmas Eve ride? You can click here to tell me or scroll down to see what other people have written! I think all the elves have to get ready for another year of making toys and probably a ton of other things! I think maybe grass, ornaments, and grain that people put in their yards for the reindeer! Thats all I could think of! I can’t put my christmas tree up today! I think your elves also had to get things ready for next years Christmas. Do you have more than one coat? I would want to come in your sleigh too! I cant wait till christmas! And by the way…..DO you like the cookies called sprits? Hey Santa!! 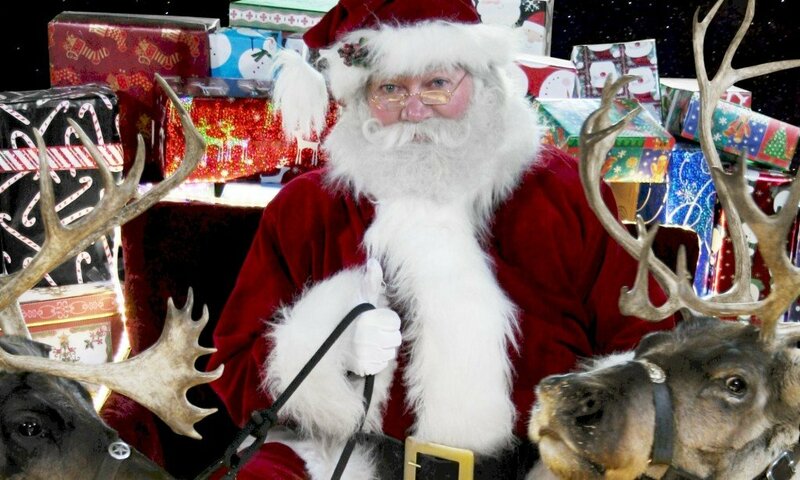 I ask this every year, but last year you said i could ride you sleigh. You can wake me up when you come drop my presents off. I will help protect your sleigh and also I will help your elves!! please santa!! Btw I need your real email!! Wow Santa! Can I come on your sleigh?That would be fun! Hey, my name is Bethany and my brothers name is Eoin we all love Christmas and that feeling on Christmas Eve night, we just get so happy it is unreal! We love Santa and we love Christmas and PRESENTS! I think when christmas is over that the elves make toys and clean stuff. hi santa that is cool that you have memories from the places you go to!!! Only 118 more days until Christmas….don’t worry I’m counting. I love Christmas! Hi Santa I know its 4 months till Christmas but I’m very exsited about it but I want a new american girl doll a mini fridge a tea party set 3 american girl doll beds and I will send a list of what I want with my elf on the shelf LOVE YOU! Santa your sleigh really dose sparkle.but I wated to talk about something else. I love Christmas. Sorry santa. I asked for soil and dirt- stuff for my fruits, veg and plants. I have greenfingers! I’m jolly glad that you gave me that soil because it’s amazing. Best I ever had. I’m so excited about christmas- it’s only 168 days away! I’ve made my christmas list already- A new spade, a packet of strawberry seeds, a mesh sculpture and a scarecrow making kit. It’s a tough life, living on a farm. Anyway, I’d better go now because I have to do my homework. Did you find snow in the back? Hi Santa!! I love you! I cant wait for Christmas! dear santa you are my biggest hero so could send me a picture of you with your autograph on it through the post if you do i will really appriciate it. Santa will you come visit me at the high school sometime? Hi santa what s up. Christmas Eve is when i will be back! DAN DAN out! Can you tell me what a secret bully is. I learned it in social group. I think that maybe some milk might of spilled in the sleigh when Santa was drinking it! hi santa i am 10 years old and i am in 4th grade and you are super nice to all of the kids and i wish that you your my papa and Ms claus was my grandma !!!!!!!! I bet oncce you got home on Christmas Day you were tired and so were the reindeer! Hi I love you Santa. ive always loved you.how do you go all over the world on christmas???? Hi Santa Im 8 years old and Im in 2nd Grade. I love you Santa. You are so cool and awesome.But Santa I really hate school!You are awesome cool sweet kind helpful kindful and nice.I wish you were my grandpa. thats like my house because my house is very messy. hahahahahahahah! when do you leave the northpole santa? hmmmm who would leave cookie curmbs on santas sleigh and didnt clean it up! I love the north pole i heard about that ! does your sleigh relly sparkl?